On 19 December 2016 the EU Court in Strasbourg received two indictments against Željko Topić, former Director General of the State Intellectual Property Office (SIPO) of the Republic of Croatia in Zagreb and currently the right hand of Benoit Battistelli at the European Patent Office (EPO) in Munich. The indictments include a number of offences in support of corruption committed by Željko Topić as an accountable person during his DG office at the SIPO in Croatia. 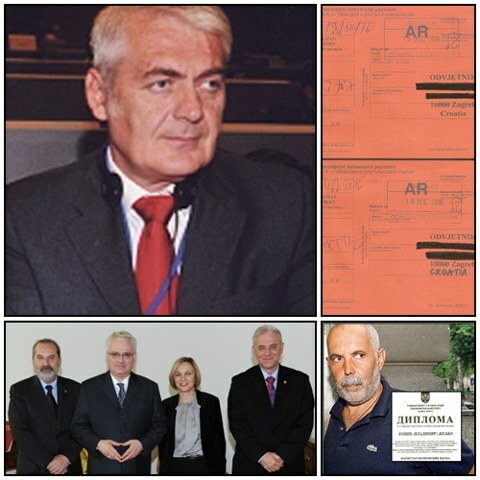 Namely, due to inefficiency of the Croatian justice and the political protection provided to Željko Topić in the Republic of Croatia, especially by the State Attorney’s Office of the Republic of Croatia (DORH in Croatian) and the Office for the Suppression of Corruption and Organised Crime (USKOK in Croatian), after more than 8 years of investigation, a party to the proceedings made a decision to seek legal protection within the international frameworks at the EU Court in Strasbourg. At any rate, Croatia has not been declared one of the most corrupt countries in the world for no reason according to the latest Corruption Perceptions Index of Transparency International. The most tragic fact in the entire lengthy investigative proceedings in Croatia is that Željko Topić has never been called in for questioning by the police or the State Attorney’s Office. All this time Željko Topić has been receiving his pay from the EPO nonstop in the amount of EUR 18,000.- a month, and the parking space in the EPO car park in Munich has been adorned by his black Mercedes-Benz illegally appropriated from the SIPO in Zagreb, i.e. from the Republic of Croatia. The former President of the Republic of Croatia, Ivo Josipović, is listed as one of the potential political protectors of Mr. Topić. Using a possible criminal offence of influence peddling the former Croatian President has protected Željko Topić from criminal prosecution in investigative structures of the Republic of Croatia for a number of years for one reason only, which reason concerns the operation of the Croatian parafiscal musical association under the name of the Music Authors Rights Protection Office (ZAMP in Croatian). That is to say, by obstructing investigation and protecting Željko Topić the former Croatian President Ivo Josipović in fact has been protecting himself since there is a clear trail of corruption offences leading directly to him over the ZAMP and the SIPO. Moreover, the staffing of the SIPO of the Republic of Croatia is largely comprised of the ZAMP employees having disputable qualifications. The fear that Željko Topić might “squeal on him” during the investigation and the legal proceedings in fashion of the member of the Calabrian mafia has resulted in dropping of criminal charges against him, which in this particular case ended up in Strasbourg. The final act in this judicial play protecting the person and the action of corrupt Željko Topić was performed at the County Court in Zagreb and the Constitutional Court of the Republic of Croatia where the investigations against Topić were declared inadmissible. Therefore, and especially due to the unbearable stench of the judicial marshland, nobody in Croatia was surprised by the most recent statement given to the media by the new Minister of Interior saying that all judges of the Constitutional Court should hand in their resignations on account of corruption since they pose a direct threat to national security of the Republic of Croatia. In addition to the legal proceedings in Strasbourg, the party to the proceedings has also announced criminal prosecution against the leading persons in Croatian justice, and the DORH and the USKOK implicated in protection of Željko Topić. Those charges will also be brought in France, most probably at the Ministry of Justice in Albertville or Grenoble. Specifically, after Croatia joined the EU as a full Member State, the Croatian citizens also have a possibility to take criminal offences to courts beyond the Croatian borders. In conclusion, as learned off the record, there are at least 6 more criminal investigations carried out against Željko Topić in Croatia. Yes, we already heard about those additional 6 criminal investigations against Željko Topić in Croatia. The man seems to be corrupt enough to match the job requirements of Battistelli and Bergot. And since he is so legally vulnerable they can probably better control him (e.g. by blackmail), too. We shall post more information about the Strasbourg case in the coming days if not weeks. The dispute between the President and the Suepo trade union, which represents the bulk of the 7,000-strong workforce, has been raging for more than five years. Minister Etienne Schneider is now responding to a parliamentary question by the LSAP deputies, Claudia Dall’Agnol. The leadership style of President Benoît Battistelli, who took over this office in 2010, leads from escalation to escalation. Only recently did employees move through the streets of Munich and consulates. According to the statements of the trade unionists, Battistelli has for a long time sprawled the bow so far that the working climate is at its zero point. In the course of this year, three trade unionists from the Suepo were already set before the door. According to our information, the President has indicated very spurious causes of these cancellations, which are not to be attributed to the hair.